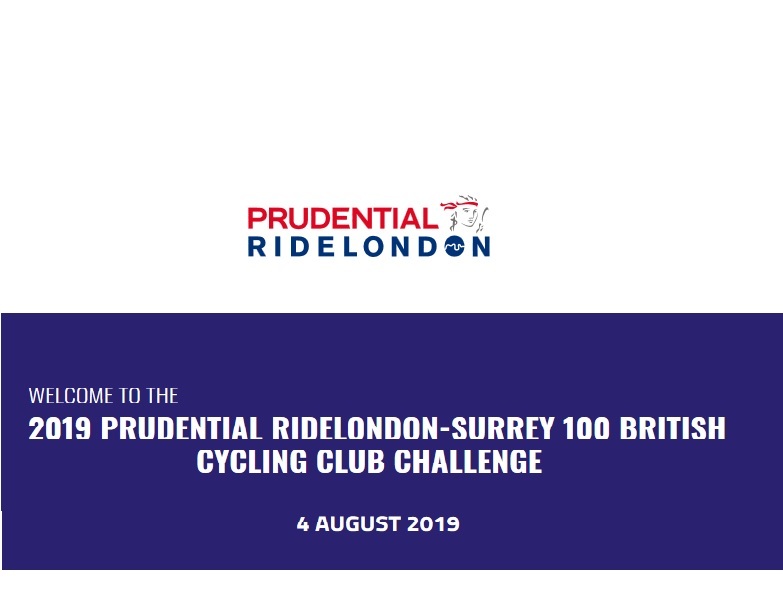 Once again British Cycling is offering affiliated clubs the chance to apply for team entries for the Ride London event due to take place on Sunday 4th August 2019. Team categories can be all men, all women or mixed (two men and two women). There are places for 300 teams in the British Cycling Club Challenge. If the demand from clubs for team entries is greater than the available places, entries will be awarded on a proportional basis, based on the number of British Cycling members at each club followed by a random draw, if required. Ray Kelly will be managing the team entries for the Willesden CC. So please contact him immediately for your place on one of our teams. Ray’s email address is raymondkelly211@btinternet.com. Ray will be making our team application shortly, so you have no time to lose! !